U.S. ethane has never been exported overseas. Not yet, that is. Week by week, the details of an emerging export market for U.S.-sourced ethane are coming into focus. Enterprise Product Partners, which has been expressing interest in exporting ethane for some time, a couple of weeks ago announced plans for a 240 Mb/d export terminal on Texas’s Gulf Coast and explained how it sees things shaking out. Navigator Holdings, a major shipping company, has placed an order for new semi-refrigerated liquefied gas carriers capable of carrying ethane (or ethylene). And while U.S. ethylene producers fret about how ethane exports could drive up domestic ethane prices, there is solid evidence ethane will remain a surplus, low-cost commodity for years to come. In this follow-up to our recent ethane exports series, we consider recent developments and what they mean. In Part 1 of our series a few weeks back, we reviewed the big growth in U.S. ethane production over the past few years, the ethane price collapse in late 2012, and the rejection of ethane production (selling ethane as natural gas at fuel value rather than as a petrochemical feedstock) that has resulted from low ethane prices. We also explored the new U.S. ethane-based Gulf Coast cracking capacity being developed and discussed our view that the growing volume of ethane that gas processors could produce will continue to outpace the volume that the U.S. petrochemical industry can consume. By our estimate, ethane rejection, which has recently been running at about 250 MB/d, will nearly triple over the next three years, to more than 700 MB/d in 2017. In Part 2 and Part 3 of the series, we considered what we see as the four major barriers to significant U.S. ethane exports. First is the lack of loading and unloading infrastructure and the need to build ethane chillers and near-cryogenic tankage at loading terminals and similar tankage at unloading sites. Second is the need for dozens of new and costly ethane-capable ships; third is the need for an ethane pricing structure that sufficiently benefits—and protects—U.S. ethane suppliers and foreign buyers alike; and the fourth is the question of how much foreign demand for ethane there will be, given that most European and Asia/Pacific ethylene crackers are naphtha-based and converting them to ethane will likely be very expensive. None of these barriers is small. But the sheer volume of surplus ethane the U.S. will produce for the foreseeable future—and the low ethane prices those surpluses suggest—lead us to the view that an ethane export market of at least modest size will develop. And perhaps, not so modest. 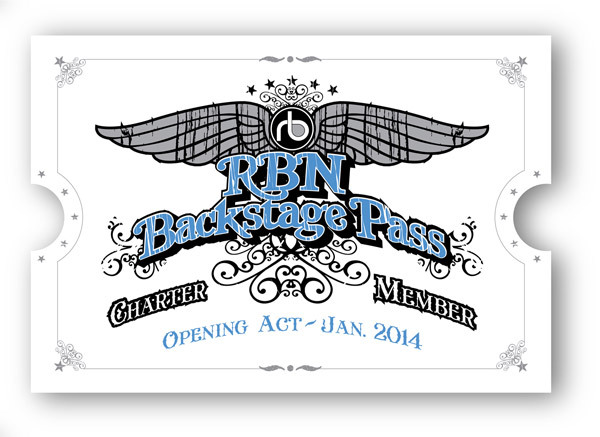 RBN Energy’s inaugural Fundamentals Webcast for Backstage Pass subscribers is scheduled for today, Thursday, May 8th at 2:30pm central time. In this session, Rusty Braziel will provide a 40 minute market update for crude oil, natural gas and NGLs. More information here. The fully refrigerated ethane export facility that Enterprise Product Partners (EPD) unveiled plans for in late April could become the dominant player in that market. With a loading rate of about 10 Mb/hour, or 240 Mb/d, the potential throughput of EPD’s Texas Gulf Coast facility would dwarf the 30-50 Mb/d capacity from the ethane export facility that Sunoco Logistics Partners (SXL) is planning for the Delaware River in Marcus Hook, PA. Ineos, a European petchem, has signed deals to move unspecified amounts of Utica/Marcellus-sourced ethane (from Range Resources and CONSOL Energy) through SXL’s Mariner East pipeline to Marcus Hook, where (starting in 2015) it would be loaded on refrigerated ships and floated to Ineos petchem plants in Northwest Europe. The initial Mariner East project was planned to move up to 70 Mb/d of ethane and propane. Subsequently a Mariner East Phase 2 project was announced that would increase that capacity. According to the company’s recent investor call, the Mariner East 2 open season remains open, but Antero Resources recently committed to a 10-year transport, terminal and storage agreement with Sunoco to be an anchor shipper on the project for 51.5 Mb/d (11.5 Mb/d of ethane, 28 Mb/d of propane and 12 Mb/d of butane). On that same call Sunoco said in response to a question that the Antero deal alone is not enough for Sunoco to proceed with Mariner East 2, but that it is working with several other potential shippers and is "confident" the pipeline project will proceed. It also said it is "open-ended" as to what the ultimate capacity of Mariner East 2 may ultimately be. To access the remainder of Changes in Longitudes—The Coming Revolution in U.S. Ethane Exports you must be logged as a RBN Backstage Pass™ subscriber.